We Care for your Legs! 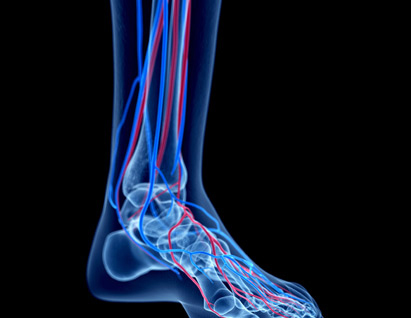 Mountain Vein Care is a specialty medical practice whose mission is to diagnose and treat patients with lower extremity venous disease. Our practice focuses exclusively on treating varicose veins. In our office, all treatments are done with only local anesthesia in the leg. Patients do not require sedation. In fact, we encourage our patients to resume normal activities immediately after any procedure. There is no downtime associated with any treatment! Mountain Vein Care was founded by Dr. Carl Dando, Medical Director, who has practiced vein medicine exclusively since 2006. He has successfully performed over 16,000 laser vein surgeries and 19,000 sclerotherapy sessions. Dr. Dando is a Diplomat of the American Board of Venous and Lymphatic Medicine and a Diplomat of the American Board of Internal Medicine. Dr. Dando’s background as a board-certified Internist allows him to provide exceptional diagnostic capabilities to his patients. Having previously practiced primary care medicine for over fifteen years, he brings a personal, patient-centered emphasis to the practice. Our primary procedure is endovenous laser ablation (EVLA) of abnormal veins. This involves placing a thin laser fiber into the affected vein under ultrasound guidance. Phlebectomy is an in-office procedure used to remove large, bulging surface varicose veins through tiny needle punctures. The tiny needle punctures will fade, and there will be no residual scars. Our practice offers sclerotherapy, both ultrasound-guided and visual sclerotherapy. This involves injecting a small amount of a medication, called a sclerosant, into the abnormal vein. Dr. Dando is a Diplomat of the American Board of Venous and Lymphatic Medicine and the American Board of Internal Medicine. He is also certified by the Alliance for Physician Certification and Advancement (APCA) as a Registered Vascular Technologist (RVT) and a Registered Physician in Vascular Interpretation (RPVI). In addition, Dr. Dando is certified by Cardiovascular Credentialing International (CCI) as a Registered Phlebology Sonographer (RPhS). He is one of the few physicians in the country to hold all these credentials. For those patients with known varicose veins, we suggest a full consultation to determine the extent of your condition and to discuss treatment options. At the consultation, we will collect your insurance information and bill your insurance company for that service.